We’ll continue looking into why this may be happening. I’m unable to reproduce this in both 32-bit and 64-bit Windows with Local 2.3.1. If anyone has time, we’d greatly appreciate a screencast showing this (from the point of opening Local for the first time). Local by Flywheel 2.3.2 is now available. It includes some changes to how the VM is shut down on Windows. Please upgrade and let me know if the issue is still there. Same issue thus far. Here is a snippet from my log file. Notes an error, but not sure if it is related. Seems to be consistent. Got it. Thanks for testing it! We’ll continue to try to reproduce this issue. I think I have a solution in mind. I have the same problem on 2.3.2 and previous versions. Cannot run the app the second time before manually quitting those tasks in manager. Just curious if this has been tracked down. 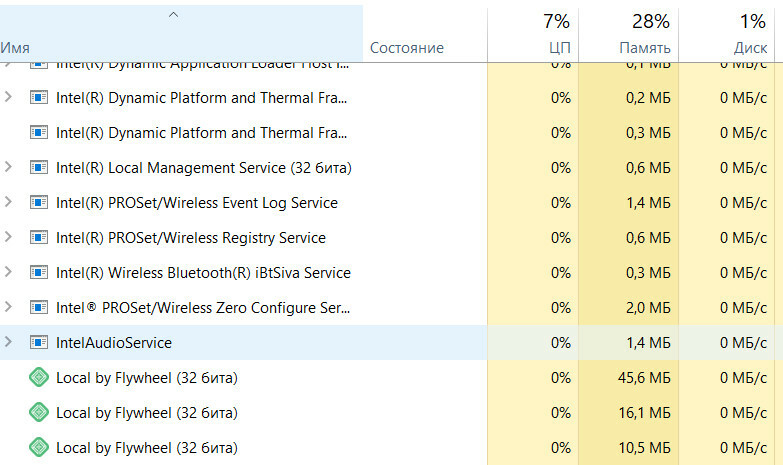 Update after update after update (causing lots of problems when I see the comments section) but this problem (running instances of Local by Flywheel 32bit staying in the background) is still not addressed. Sometimes wonder what the development of LBF is about: only creating more problems while leaving the existing ones unaddressed? Maybe the LBF team should start recoding the whole project from scratch instead of building on faulty versions (the 2.4.1 emergency update is a dead giveaway here). Yes. Now speaking for myself, I have used various “all in one” local development packages, LBF, Lando, MAMP. MAMP was the better in my opinion. All left me to some level frustrated. I am a small fry designer, but the best solution I have found to do local dev on Windows 10 is frankly running Apache/PHP and MySQL. Leaving them running has had no performance issues and I can turn them off easily if desired. Again, frankly, the issues I had with the multiple background issues not being corrected in a timely manner turned me off of LBF a long time ago. I do realize it is a free product, but still. The background issue on Windows is still in our todo. Unfortunately, we’re waiting on something to be fixed in an upstream dependency before we can address this. I have also been experiencing the exact same issue since updating to 2.3.1. 2.4.0 didn’t fix it. 2.2.4 was fine. I just wanted to point out, I’m having the same thing happen, but only when I close Local out with the ‘x’ in the top right corner. If I go to the menu (three lines) in the top left corner, and press exit at the bottom of that menu, Local closes correctly and there’s no tasks left behind. Thought maybe this information could help figure out what’s causing this bug! I can confirm that clicking on ‘Exit’ in the menu instead of the ‘X’ in the top right leaves no LbF processes running. Which, btw, seems also to indicate it’s not ‘something has to be fixed in an upstream dependancy’ as claimed by @clay but instead in LbF itself… Correct me if I’m wrong. Thanks so much for pointing this out. I will check this out on my Windows machine. Thanks again for all of the details pertaining to this very frustrating bug! I was able to track down the issue this afternoon and devise a possible fix. It wasn’t an issue with a dependency like I originally suspected. Note, you may have to kill any existing processes like before prior to using this build. However, once you do switch to this build the issue should go away. The background process fix has been released in Local 2.4.6. I’m now marking this thread as resolved. Please open a new thread if you run into this issue again. Thanks again for everyone’s patience! This topic was automatically closed 12 hours after the last reply. New replies are no longer allowed.